Metal ions. DNA just doesn’t work right without them. Or much of biology for that matter. Back in the 1980s, Graham Cairns-Smith postulated that, rather than nucleic acids forming the basis of replicable life, clay in its potentially replicative crystalline formations was in fact the substrate for our primogenitors . Clay is an exceptionally fine-grained material and usually consists of alumina and silica, as well ions like magnesium, calcium, sodium, and iron . In short, it’s rock: that inanimate inorganic substance which we typically view as devoid of life but around which life’s origins were probably centered,– and perhaps if Cairns-Smith is correct, the basis for life itself. Regardless, the machinations of our cells still house those inorganic fingerprints, a whisper of our lifeless beginnings. An example of a calcium ion (Ca2+) in which the atom has lost its two outermost electrons, giving it a +2 charge. Selenium is also sometimes included on this list, though it’s not a true metal but a metalloid, a nonmetal with metal-like properties. In addition, other trace amounts of metals are found within the body though their functions, if any, are uncertain. They include aluminum, antimony, arsenic, bismuth, cadmium, gold, lead, and mercury. Usually these metal ions are considered “essential” in their roles as catalysts. 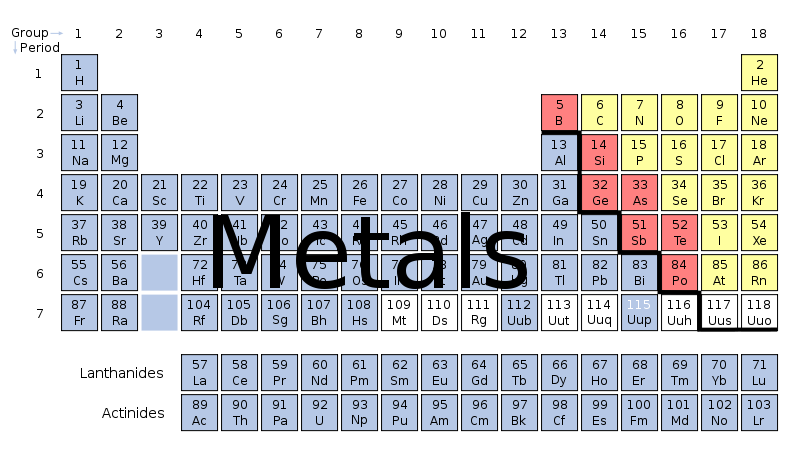 But metal ions often play more than simply catalytic roles in the body; they also fill regulatory and structural roles. Zinc for instance serves as all three and is probably best known in its role within zinc-finger proteins. In these instances, usually one or more zinc ions will bind to various sites on a protein, altering its conformation and its ability to bind to other proteins, nucleic acids, lipids, and carbohydrates. An excellent example includes many types of nuclear hormone receptors, e.g., the estrogen receptor (ER), which require zinc ions as part of their motif in order to bind to the DNA and initiate transcription of target genes [3, for example]. It is believed that the superfamily of zinc transcription factors is phylogenetically very ancient, arising likely within the early metazoans . One characteristic which often typifies metal ions is their ability to behave as free radicals within the cell. For most people if they’re at all familiar with the term “free radical” it conjures fears of aging, tissue damage, and cancer. And what with the wealth of free radicals surrounding us in our everyday life (e.g., many pollutants may be rife with them), well let’s say it’s enough to get many of us exercising and eating more fruit to ward off premature aging! What occurs is that a free radical, being shy of an electron or two, scavenges electrons from other molecules. This starts a domino effect because those molecules which have had their electrons stolen, in turn steal electrons from one of their neighbors and so on and so forth. In the case of the cell, lipids are especially vulnerable to this, particularly those which make up the various cellular membranes. However all types of molecules may be potential targets to reduction-oxidation. One of the great things about antioxidants is that they help keep free radical numbers in line by donating their extra electrons and stopping the domino effect that can ensue following reduction-oxidation. Many may not realize, however, that free radical exchange– in a moderate and well-controlled fashion– is a normal and necessary part of cellular metabolism [5, for example]. But like most things in life, too little or too much is generally a bad thing. The classic example of metal ions partaking in biological systems is neural conduction. Simply put, sodium ions are highly concentrated outside the cell and potassium ions situated within. When a neuron receives an excitatory signal from a neighbor, the membrane of the receiving neuron will become depolarized (more positive). Should that depolarization reach a certain threshold value, the sodium- and potassium-gated ion channels will open, allowing sodium in and potassium out. The positively-charged sodium ions then travel along the axon and once they reach a synapse, they prompt a release of vesicles containing whatever neurotransmitters or modulators that cell generally makes into the synaptic cleft, thereby passing on the message to the next neighbor. Aside from sodium, calcium is another important player in action potentials, although rather than only lasting less than a single millisecond, a calcium-induced action potential can last up to 100 milliseconds. To use zinc and calcium in yet another example, Hershfinkel et al. (2001) identified a zinc-sensing receptor in the outer membrane which, upon zinc reception, internal stores of calcium were triggered from the endoplasmic reticulum in HT-29 cells (tumor cells derived from the human colon). Therefore, aside from playing intracellular signaling roles as in the case of neural conduction, these ions may act as extracellular signaling molecules as well. And most impressive is the little magnesium ion. Did you know that the very fuel of our cells, adenosine triphosphate (ATP), when bound to a protein complex is chemically unstable unless a magnesium ion is also bound to it? Sort of like a You-Understood in English grammar, so too does ATP often have a magnesium hovering before it in parentheses: (Mg)-ATP . When a student takes an introductory biology class, he or she is taught that life consists of four basic compounds, the building blocks of the cell as it were: nucleic acids, proteins, lipids, and carbohydrates. But after learning what foundational roles metal ions play in biology, doesn’t that seem a bit unfair? That they’re treated like the black sheep of the family? The unsung hero? The ugly duckling of biochemistry? It seems to me that the traditional biological sciences have put off acknowledging these ions’ importance for as long as possible, because it requires a bit of a paradigm shift. It’s not as if scientists are ignoring them in the laboratory or even in the realm of publication. In the pragmatic day-to-day way of looking at things, metal ions are readily acknowledged. But when it comes to overarching theory, the way we envision the prototypical cell, metal ions are in the chorus line while nucleic acids, proteins, lipids, and carbs are the Broadway stars. As for me, I marvel at whether metal ions may be traces of the oceanic rocks in which life arose– those inorganic, catalytic, and chiral-selecting havens that made all of this possible. Reflective of Cairns-Smith’s ideas, I wonder whether the integration of such metals into our basic cellular forms is not a reflection of an eventual adaptation to available resources, but a necessity for the very beginnings of life itself. ← Lazy Science: Can the Life Sciences Handle All This “Big Data”? I agree with John. This is a lovely lesson and explained with flair. I read recently that calcium ions are a key factor in the brain’s synapse function. So, then, wherever one had a thought, “a calcium ion was there” ? It’s around such topics as this –as well as in Manuel’s guest post earlier, for example— that I feel my great lack of understanding in all things electro-magnetic. (The second of the two-burner electric cook-plate’s burners just went ‘pffft.’-and since I don’t know how to replace a rheostat (sp? ), on it, I’ll have to get another whole contraption. ) A lot of my reading turns again and again to topics such topics, referring to Faraday’s and Maxwell’s work which, so far for me is a big blank. I’d love to understand such things better and I guess that is why this is such a welcome lesson from your store of knowledge.